Vessels. Complexity. Overflow of information. A scenario that team SHIP HAPPENS is aiming to solve and simplify. With the support of our sponsor, ABB, we’re a multicultural and multidisciplinary “crew” currently developing an integrated system that helps and improves communication onboard a vessel. To communicate between several rooms, offshore and onshore, according to different necessities, we are utilizing the existing equipment, such as control panels and walkie-talkies, upgrading and complementing these with several concepts and functionalities to answer some vital questions: who’s in command, how to take and give command. 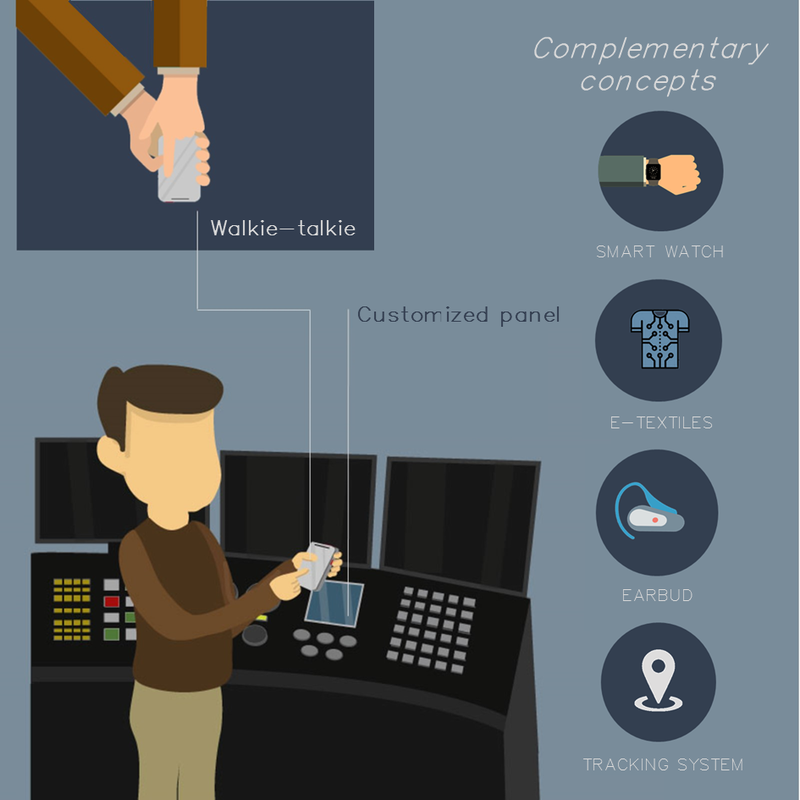 We have determined some complementary concepts such as the smart watch, the e-textiles, the earbud and the tracking system to fill existing gaps and flaws of the current communication. Our main goal is to create not only one single product, but to ally them and to establish a complete, functional and safe system that we can easily apply in a real-life situation. We still live by our motto – You don’t search for information; the information searches you!